What is employment? It’s a topical question right now. Sometimes it’s obvious whether someone is employed; sometimes less obvious. But as a business it’s essential you decide – for it affects the application of numerous laws, in particular minimum wage. Let’s look at this briefly in context. Your business is up and running. Now you’re engaging other people to help you – people to work on the shop floor and at the checkout; people to make deliveries; cleaners; a lawyer – no, that’s going too far! Over time, as your business takes off, you may have a number of needs for assistance and there are a variety of different ways in which you can engage the people to provide that help. If you’re running a thriving shop, you probably need people to welcome and look after your customers. For these types of role, whether your staff are going to be full-time or part-time, you’re likely to opt for a traditional employment contract. That said, if you’re a charity shop or a pop-up, you might rely on volunteers or casual workers. And remember that these will also be contractual relationships, and it’s best to set it down in writing so that everyone is clear on their rights and obligations. What about people doing deliveries? You probably don’t need them all the time, so you might use a contract for services and pay them per job. You might find self-employed people who provide such services, or you may contract with another company which employs people to do such work for others. And then what if your business grows, and you need people delivering your items almost all the time. Employing someone as a permanent deliverer might then make sense. But engaging people on a more temporary basis also has advantages and that’s a model that has increasingly found favour with many delivery-reliant businesses. But what if, although you never formally agreed to this, it turns out that a delivery person who works for you every day from 9 till 5, sees your business as his or her livelihood. Maybe you even started to feel loyalty towards that delivery person, and you always asked for their assistance over others. And maybe they started turning down other people’s jobs to be there for you. This is topical. Uber is waiting on an imminent decision by an employment tribunal as to whether “Uber drivers” are employed by Uber: the company says it merely operates an app that brings drivers and customers together. 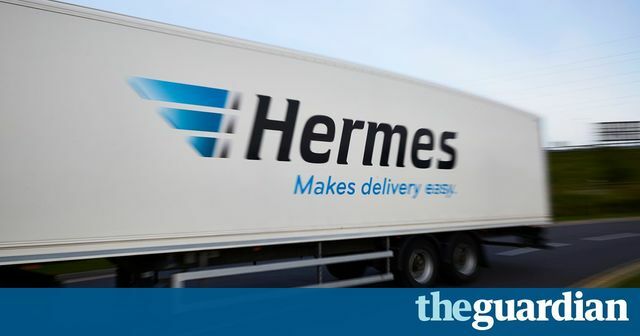 You might also have read that the HMRC is investigating the Hermes’ parcel delivery model – about 80 couriers complained that they are being paid below the minimum wage. Hermes says its couriers are self-employed, so they are not entitled to the minimum wage. Parliament is also starting an inquiry into the matter (which you could respond to here). Employment requires an obligation to personally provide a service – a worker or employee cannot normally decide (without agreement of the employer) to ask a friend to do the work instead. If the “employer” has control over how the worker works, that will suggest it is an employment relationship – a truly independent contractor will work as he or she wishes. An employee won’t normally have a choice as to whether to accept allocated work. Likewise, an employer will normally have obligations regarding the minimum level of work it provides to its employees. Integration into the business suggests employment. For example, are the couriers asked to attend office parties and other bonding exercises? Is there a uniform? Uber drivers are unrecognisable, whereas Deliveroo’s logo is unmissable on the road. It’s important to recognise that the nature of the working relationship is what’s important, not the words the parties use – even if the worker agrees to them. You might also wonder why HMRC is investigating Hermes, whilst an employment tribunal is deciding on Uber. There are two types of minimum wage enforcement. Payment of less than the minimum wage is classed as “unlawful deductions from wages”, so a worker can complain to an employment tribunal that their employment rights have been compromised. But HMRC has also been given the power to investigate allegations of under-payment of minimum wage. What if HMRC and the employment tribunal come to different decisions? Well if Hermes is found by HMRC to have flouted minimum wage laws, HMRC will serve a ‘notice of underpayment’ on Hermes which will require them to pay the arrears of pay (the amount by which payment was less than the minimum wage) and a penalty – you may also find yourself having to pay arrears to a former employee. If particularly serious, HMRC could also treat it as a criminal issue. Hermes will have 28 days to appeal that notice to an employment tribunal. So the tribunal is going to be the higher authority on this issue. In principal, there could even be a further appeal beyond that. If you’re concerned about the status of any workers or service providers to your business, or you’re thinking of taking someone on in a similar manner to the way that Hermes and Uber have engaged their delivery providers, you may wish to join our rapidly growing community; on our DIY digital hub, elXtr, we have helpful guides and template contracts covering national minimum wage and all sorts of different employment and service provider arrangements, giving you the confidence to run your business the way that you prefer. MPs have launched an inquiry into pay and working conditions in the UK to reflect growing concerns about the rise of casual employment, agency work and the informal gig economy.